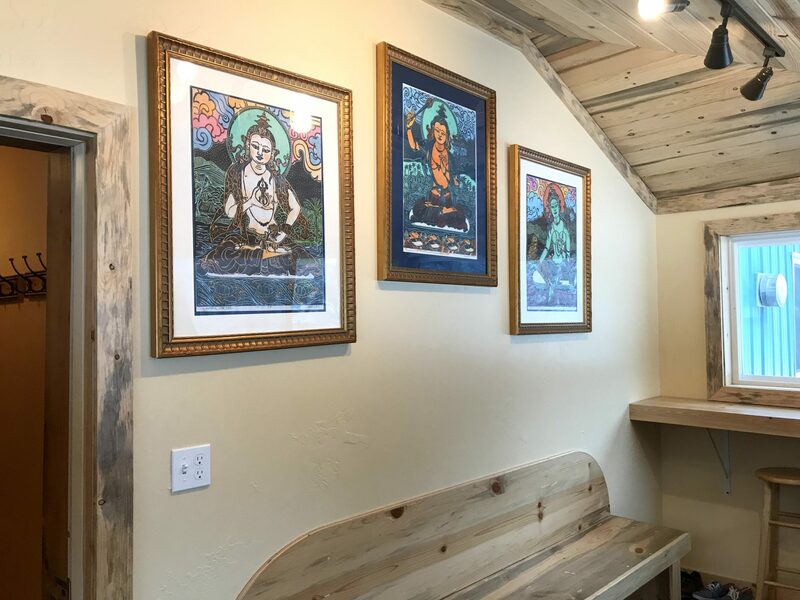 Shoshoni offers something for everyone, whether you enjoy the rustic appeal of a Retreat Hut in the woods or the cozy feel of a private cottage with full kitchen and living room. 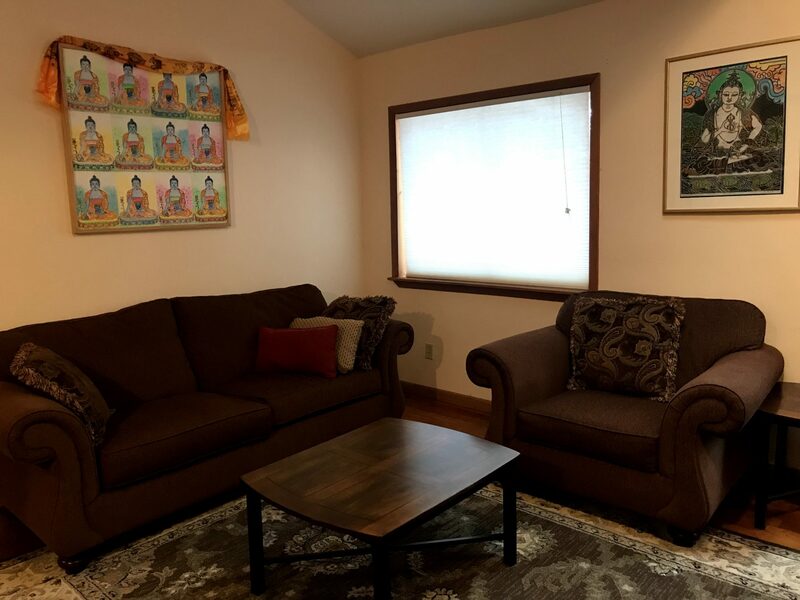 Accommodation rates listed below reflect the cost of an Overnight Retreat, which includes a fully optional schedule of three meals, two yoga classes, two meditation classes, and an art program. 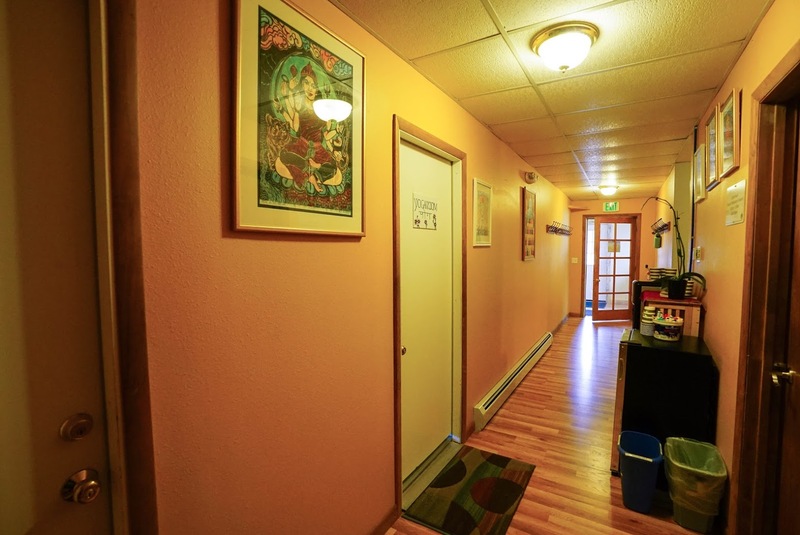 Prices shown are per adult per one night of stay. If you are staying for a specific Program, total cost will be the rates shown below plus any specific Program fees. Children age 2-13 are $30/night. Children under 2 are free. 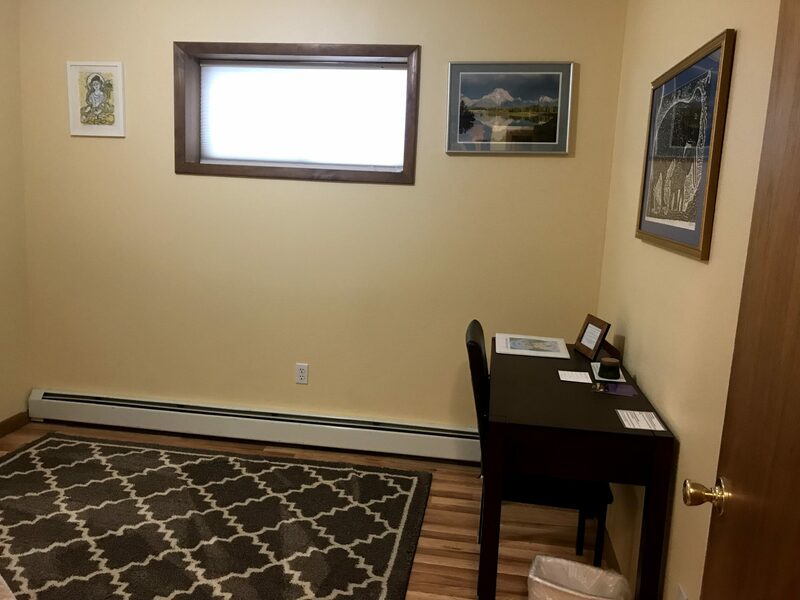 Please note, the pictures shown are indicative of each type of accommodation but may not show the exact room you’ll be staying in. Choose a bunk bed and closet space. 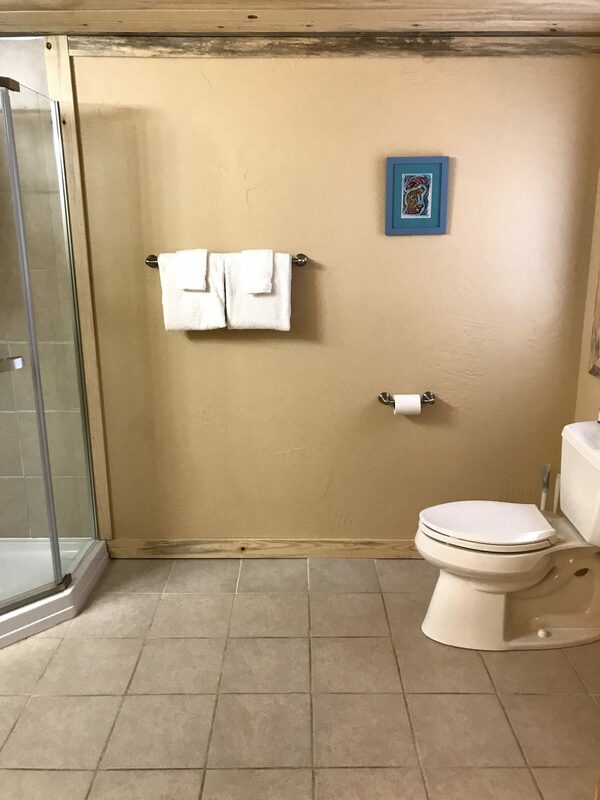 Shared bathrooms are right down the hall. 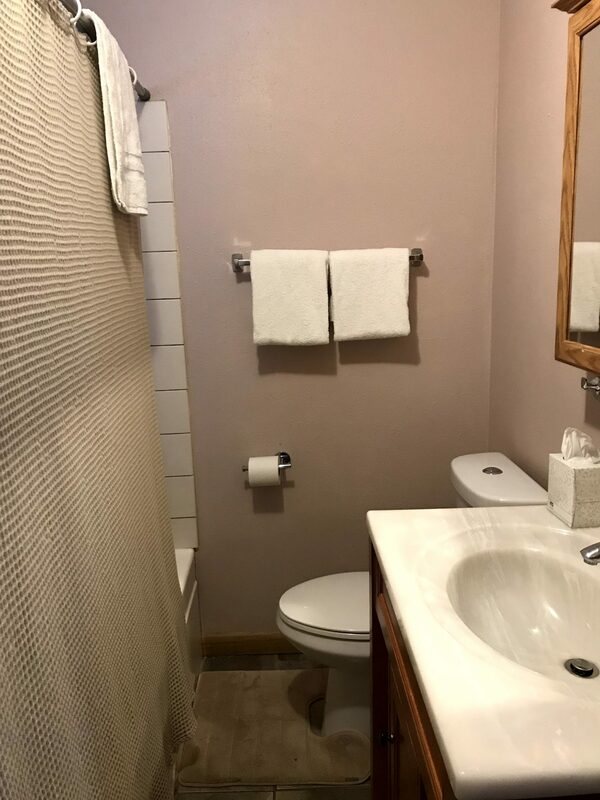 Sheets, towels, and soap provided. 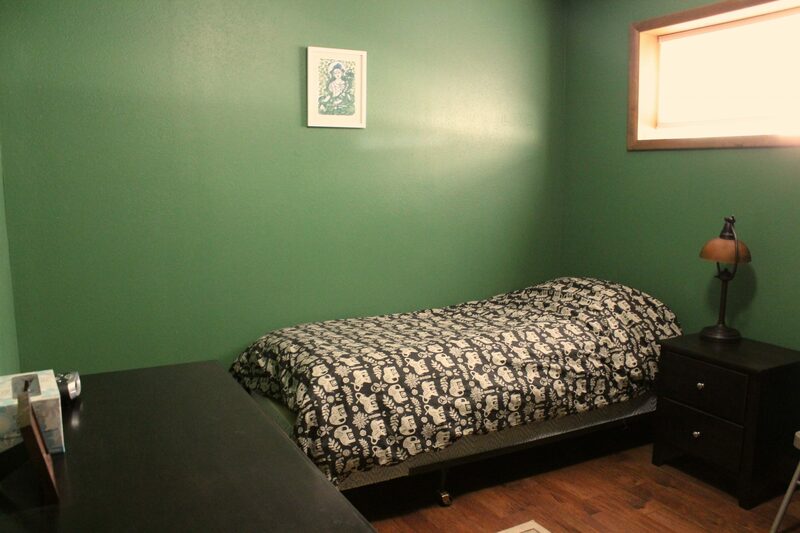 You may have up to 11 roommates of the same gender. 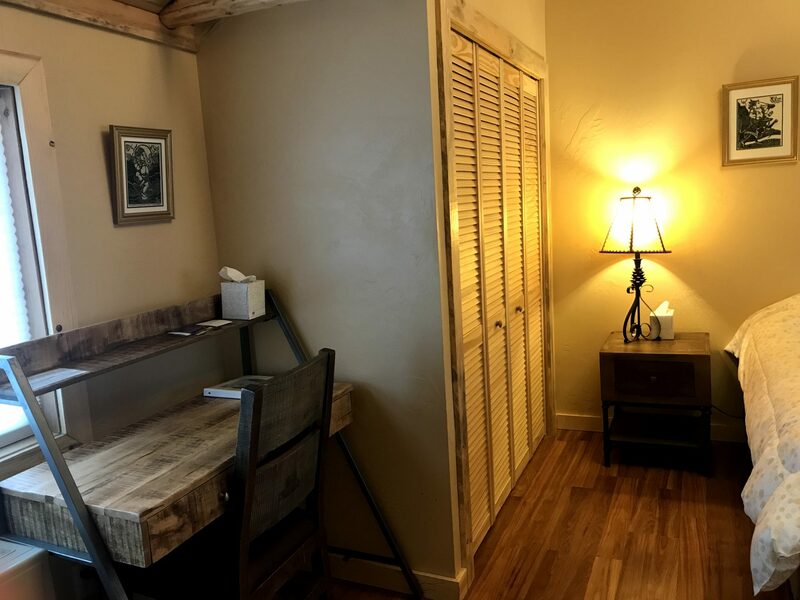 Private room with shared bathrooms right down the hall. 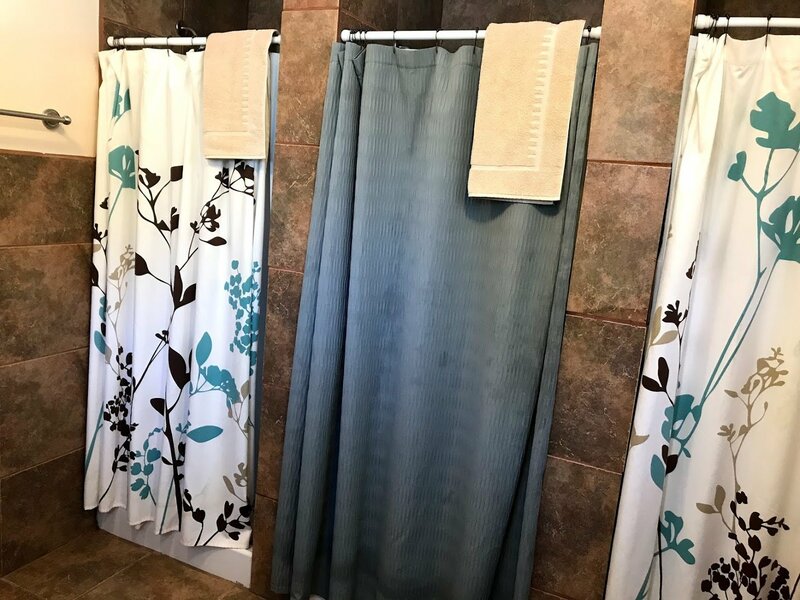 Sheets, towels, and soap provided. 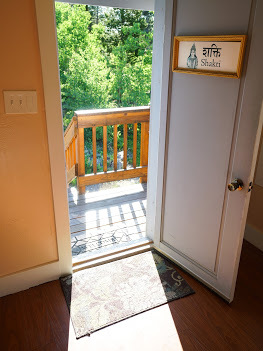 Private Dorm in Yoga Mandir – $115/night – Rooms are furnished with hardwood floors, closet, a small desk, and twin bed. Single occupancy. 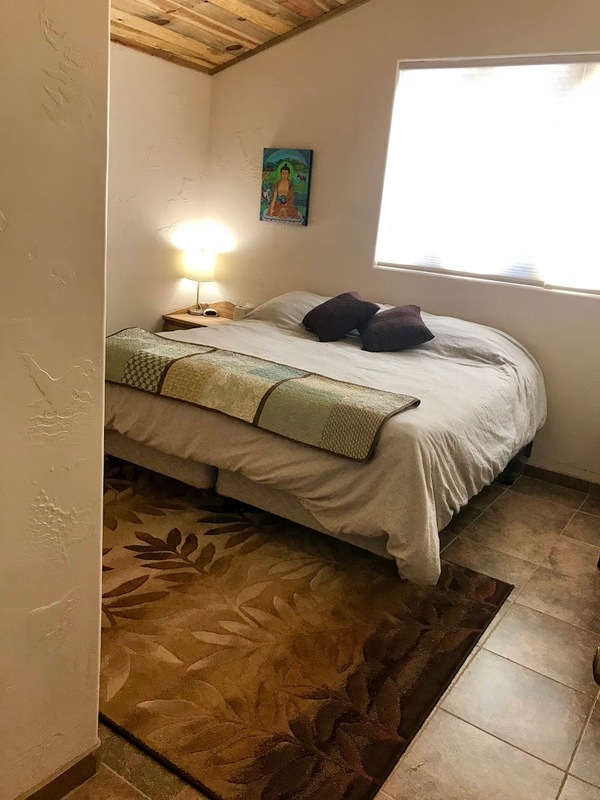 Private Dorm in Yoga Hall – $135/night single, $105/night double – Enjoy an expansive room with radiant-heated tile floors, dresser and desk, and choice of king bed or two twins. 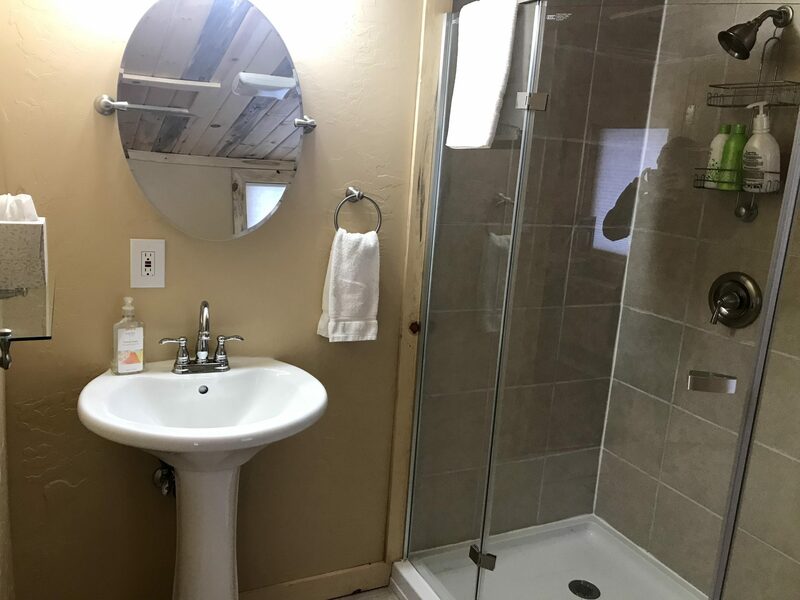 Single or double occupancy. 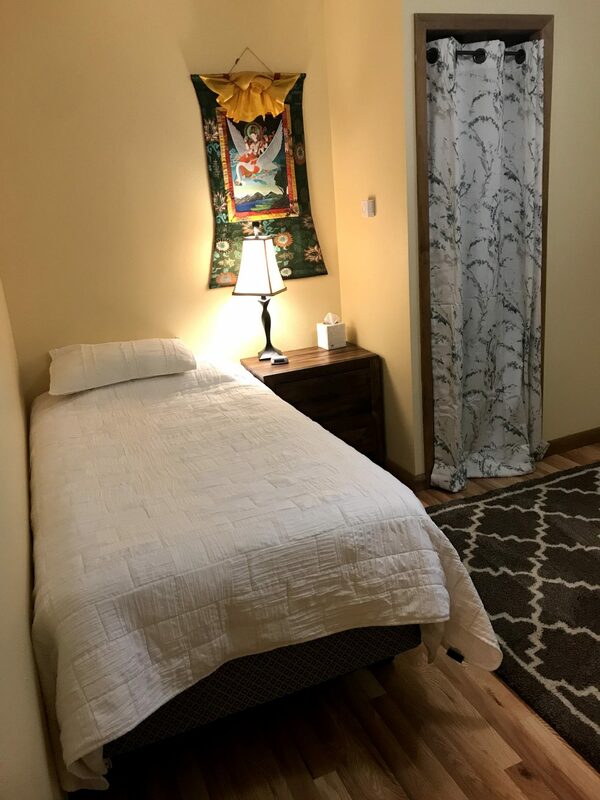 **Bhakti Room only is available at $100/night for triple occupancy with three twin beds, in addition to single or double occupancy options. 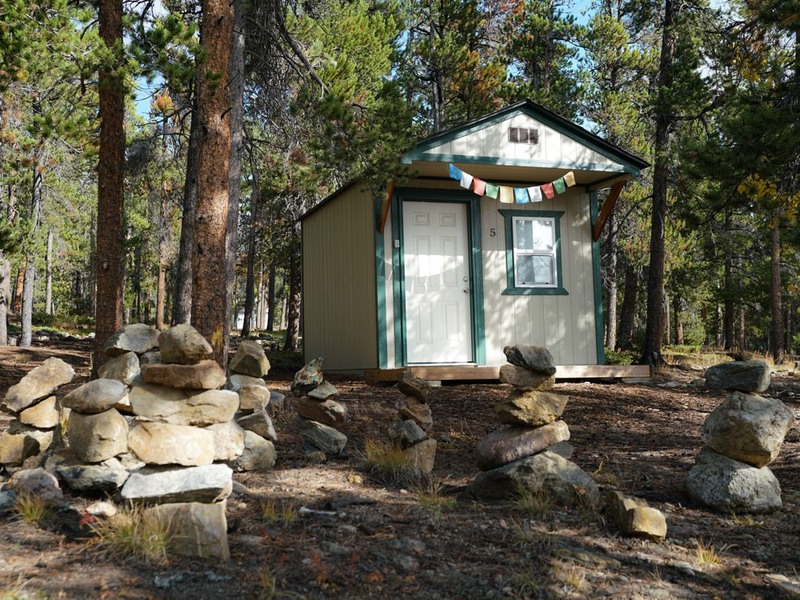 Each Eco-cabin is a private bedroom and bathroom that shares a landing with an adjoining room. 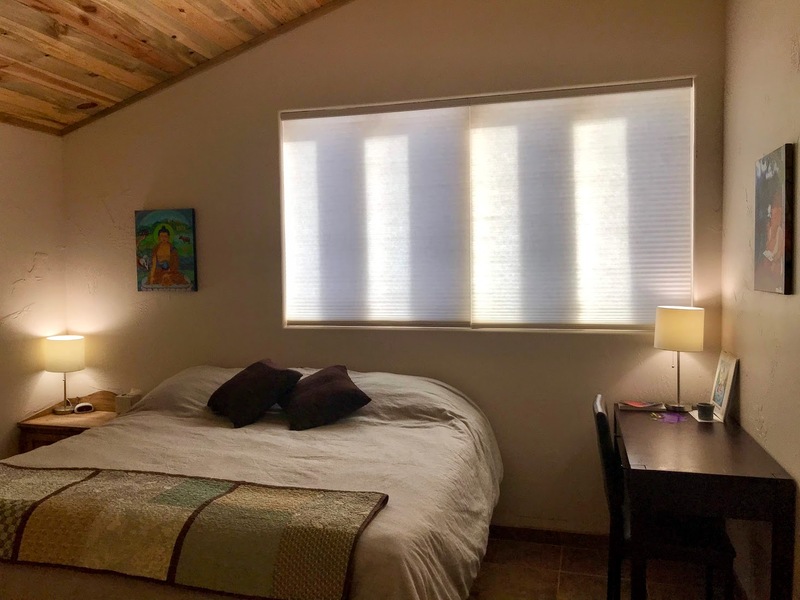 Cabins are furnished with beautiful hardwood floors and tiled bathrooms, and supplied with organic sheets and towels. 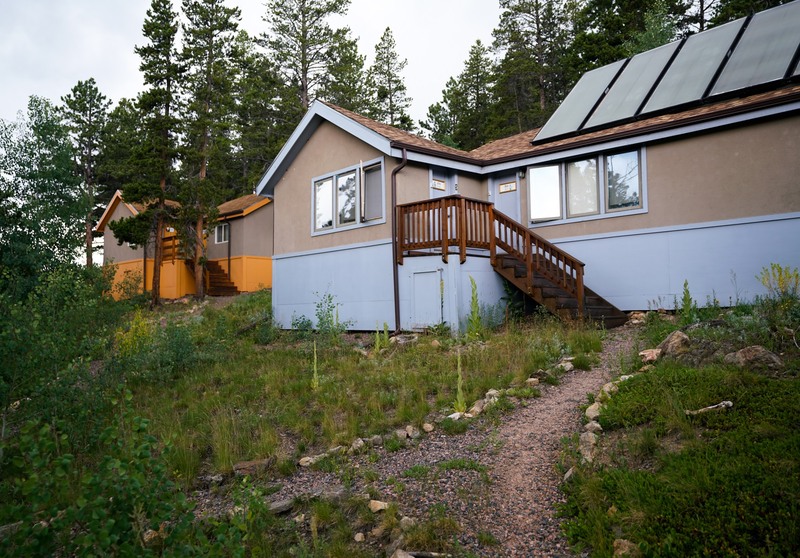 Solar-powered high efficiency heaters or radiant floor heat warm the cabin in cooler months. 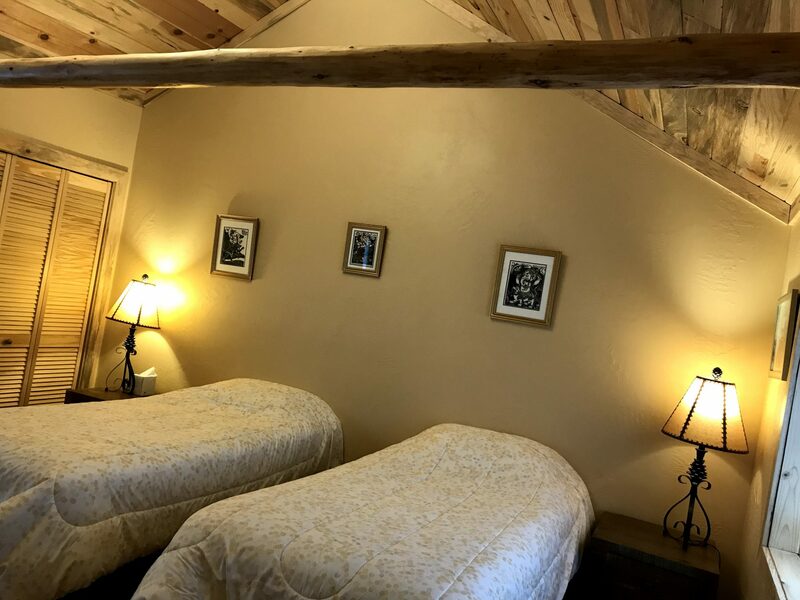 Cabins have King or Twin bed options. 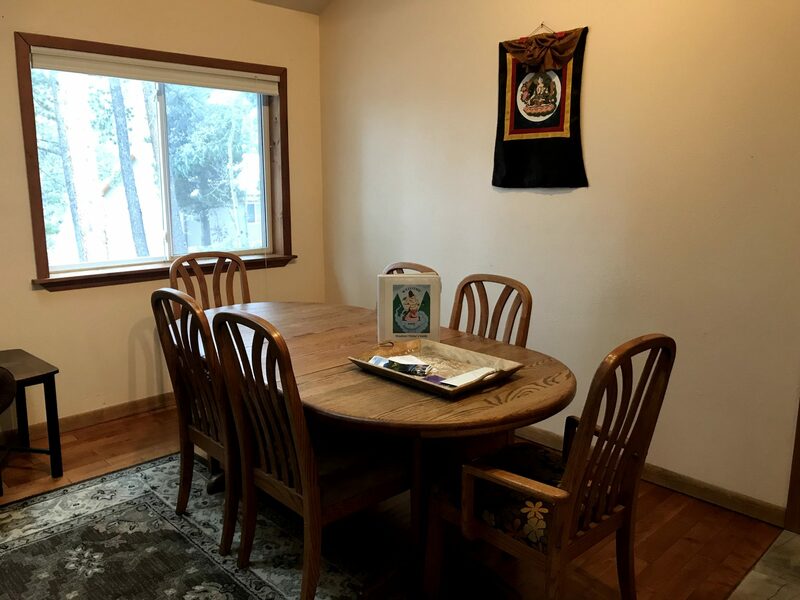 The Karma Cottage features two bedrooms and one bathroom, with full kitchen and living room. 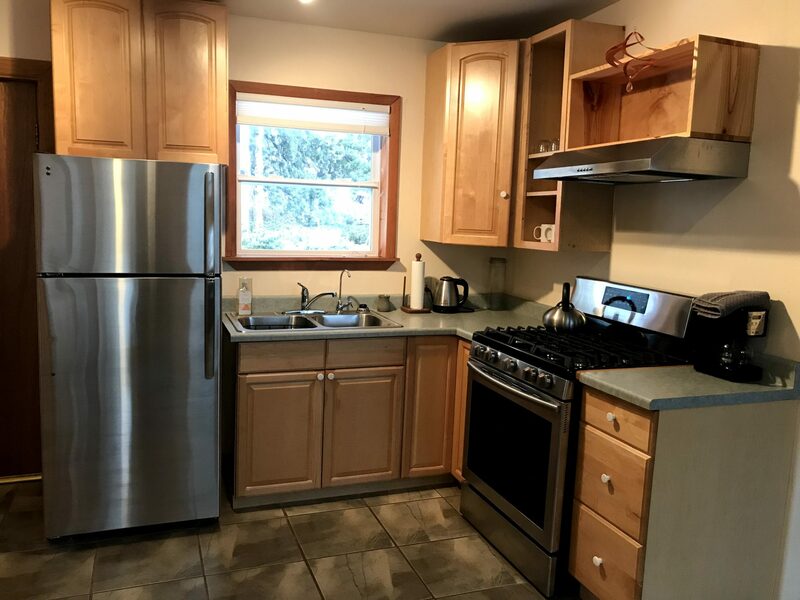 Cottage has high efficiency washer and dryer, and radiant in-floor heating with an environmentally friendly wood-fueled water boiler. 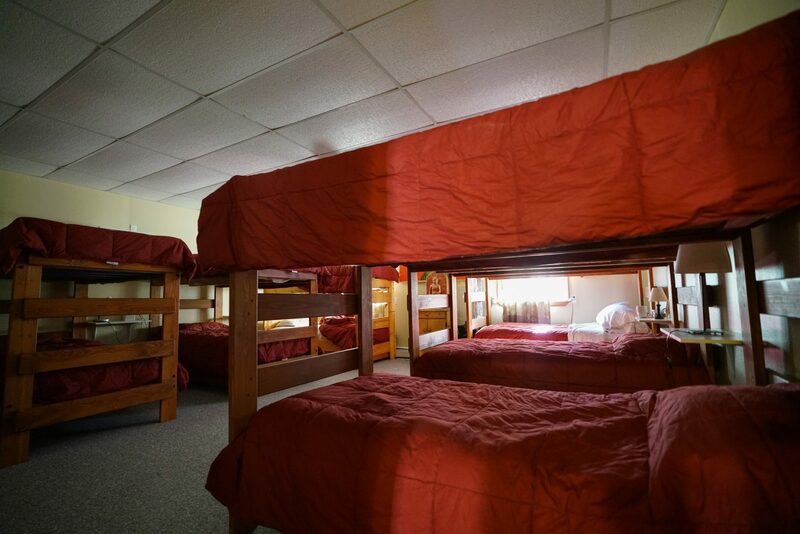 Each bedroom has either one King or two Twin beds, depending on occupancy. 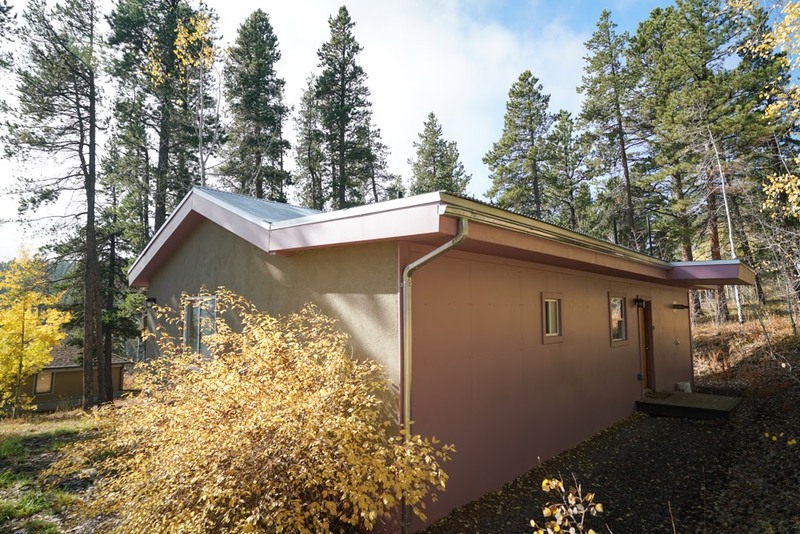 A quiet, private accommodation in the pine forest and just a short walk from classes, meals, and restrooms. 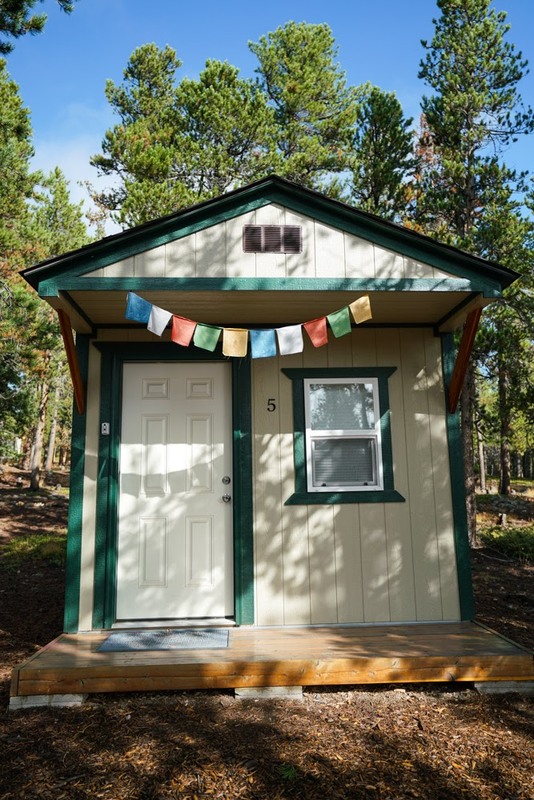 Each Retreat Hut has two Twin beds, is without electricity or water, and is available seasonally May-Sept.
Sleep under the stars in our pine forest, just a short walk from classes, meals, and restrooms. Must bring own tent, bedding, and camping supplies. Available seasonally May-Sept. Absolutely and in all ways a wonderful experience. I don’t give five stars very often, but this place was perfect. 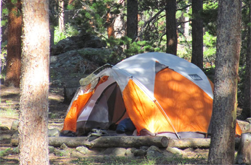 I went tent camping, and they had well maintained tent sites with options close by the main buildings as well as more secluded.